Did you know that advertisers in the United States spent a shocking $194.85 billion in 2016? Or that experts forecast out-of-home advertising (think billboards, signage, etc.) revenues to reach a whopping $11 billion come 2021? No wonder these ads surround us everywhere we go! Whether you look left or right, you’ll find these marketing materials boasting of a brand and what it has to offer. In fact, you’ve most likely seen cars and trucks with vehicle wraps too. Those stickers, decals, and even full-wraps telling everyone that such a business exists. What you probably weren’t aware of is that some of these motorists aren’t actual employees of that advertised business. They get paid for car advertising stickers. Too good to be true? Well, that’s exactly what we’ll discuss in this post. So, make sure you keep reading to find out the truth! What’s All the Hype About These Vehicle Wraps? Before getting into the nitty-gritty of car-wrap advertising, let’s see what these car wraps are–and are used for–in the first place. First, they’re pieces of vinyl or decals placed on top of a vehicle’s original paint. They allow car owners to alter their ride’s appearance, whether for personal or professional (AKA advertising) purposes. The wraps are also easy to remove, and if stripped by a pro, won’t affect the paint’s original condition. Now, consider the fact that there are 28.8 million businesses in the United States. To stay afloat in such a competitive market, businesses have to up their advertising ante. To them, that means using all available branding strategies, including making the most out of congested roads. With motorists in the country having driven 3.22 trillion miles in 2016, advertisers took this as a branding opportunity. 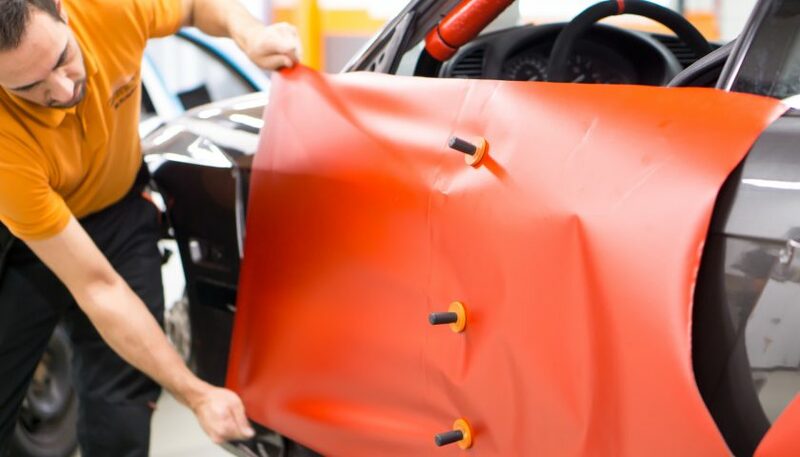 There’s also the fact that car wraps offer some form of exterior protection from dents and scratches that can cost between $60 and $110 a piece to fix. Whether these damages resulted from an accident or car detailing errors, one has to shell out money to get rid of them. There you have it–the reasons why businesses spend money on having their vehicles covered in stickers. Here’s more info about car wraps you should know. So, the question here now is, why would they want to pay someone else? Let’s face it. Not all businesses have enough budget to buy and maintain multiple vehicles. So, they outsource. It depends on a variety of factors, from the company itself to how big the car wrap is to the length of the advertising campaign. Some advertisers may pay anywhere from $100 to $400 a month based on factors like the miles you drive every day and where exactly you take your ride. All these are exciting news, right? But before you accept any offer, make sure you’re dealing with a reputable advertiser. Yes, there are legitimate car wrap advertising companies, but you still need to do your research to find out which ones are. Here are a few things that tell you that they’re legit advertisers. Don’t pay for something that claimed to pay you in the first place. Car-wrap advertising businesses don’t charge their endorsers–they pay them. Only legit advertisers will cover all costs associated with the wrapping service. They won’t ask you to shell out money from the start. So, even if a company tells you that you’ll receive reimbursement, take your business somewhere else. No self-respecting company will want to have an endorser who has a bad driving record. Even if you have a spotless history, a reputable car wrap advertising firm will still ask you to show proof of it. They also care about the specific type of car you have (they want to make sure it’s in good condition!). Only real companies require all drivers to have insurance coverage. If you encounter one that doesn’t, feel free to move to your next choice. They’re advertising companies after all, so they should have their lines open anytime. Whether for customers or for endorsers. As mentioned above, legitimate advertising companies have requirements “endorser” applicants need to meet. Aside from having a clean driving history, your also need to meet a minimum amount of driving distance every day. The most common minimum is 25 miles each day. You may also need to drive a model no older than 2005 to qualify. Keep in mind that the application of car wraps requires an original paint job too. As such, a car with a custom paint/body job may not qualify. Rust and corrosion can also ruin a vehicle wrap. These damages reduce the effectiveness of the adhesive, making them peel or pop off sooner. If your ride has little to none of these damages, then you may just qualify for this money-making opportunity. Upon submitting your application to a vehicle wraps advertiser, you’ll have to wait for their confirmation. They need to review your application, so give them time. Most likely, they’re only making sure you do have sufficient insurance coverage and you have a good driving record. Depending on how big the advertising campaign is, you may have to wait for weeks, sometimes even months. But that’s still a good sign since this means they’re verifying the information you gave. Only legit companies do that, as they have a good reputation to protect after all. 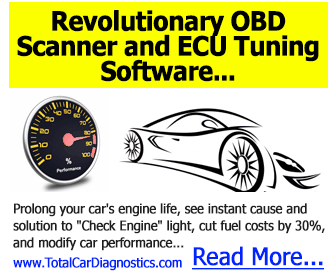 Interested to learn more car-related income opportunities? Check this NASCAR betting guide then! You’ll also find automobile tips and tricks in our blog, so make sure you head that way too.